My grandmother is a baker. My brother grew up wanting to be a chef, my aunt plans to one day open up a restaurant and some of my favorite memories were made in the kitchen. It is safe to say I have a few foodies in my family. Which makes Trudeau and the handy trinkets the perfect stocking stuffers! 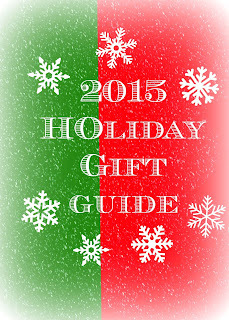 This year they are features 5 products that would be a great addition to any Christmas wish list. Set of Five Star Cookie Cutters Festive stars are one of the most celebrated symbols of the holidays. Ideal for cookie dough, fondant, pastries, shortbread or creating decorative fruit slices, this all-star gift pack of 5 cookie cutters are made of stainless steel with a fashionable coral color finish. The fine edges make it easy for slicing and expert decorating. Cookie cutters conveniently nest together for compact storage. Daisy Wine Charms The perfect floral bouquet to add entertaining charm while easily differentiating one guest’s wine glass from another. Twelve tastefully colored blooms made of soft and durable silicone to fit any sized stemware. Simply wrap the flexible tail around the stem and press-fit flower to hold. 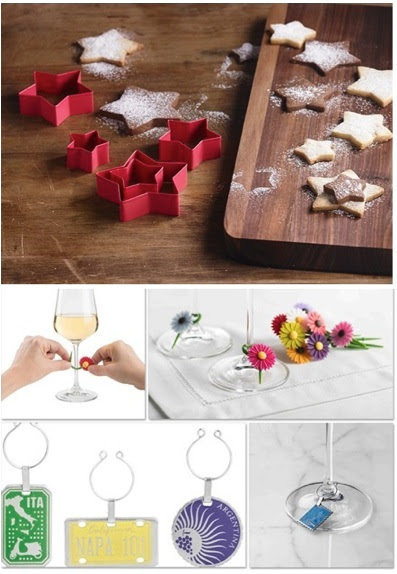 The Daisy Wine Charms can be tied together with one stem when not in use and placed in a vase for decorative storage. Flex Pot Clips Keep cooking utensils from causing a mess on the stovetop with this must have Flex Pot Clip. It clips onto the side of a saucepan or stockpot to hold the utensil, eliminating the need for a spoon rest. Drips go right into the pot instead of on the counter or stovetop. The silicone pads protect your pot while the silicone around the opening keeps the utensil from slipping. Made from heat-resistant silicone and stainless steel. Comes in red, blue, or green. Zest Grater Perfect for adding citrus-packed flavor or a light garnish, the Trudeau Zest Grater features a retractable handle which doubles as a protective sleeve for safe and convenient storage. Blades are honed to an optimal cutting angle. Multi-Use Tie Wraps Plastic tags and twist ties can present a hassle as they may be easily misplaced or ruined. Trudeau’s Multi-Use Tie Wraps are the ultimate problem-solver for sealing all types of bags and more. Flexible and reusable, these leaf shaped ties are made of temperature resistant silicone. Simply wrap around the opening of a bag and thread through the hole to ensure closure and freshness. Dripless Spout This amazing Universal Dripless Spout allows a clean easy pour from any bottle! 100% dripless keeps both bottles and hands clean and oil free. Graduated silicone stopper fits majority of bottle sizes and comes with a cap for storage. Great for your favorite brands of olive oil!